Occasionally, I like to have a treat. I figure if I’m making the treats myself PLUS I am packing a bit of extra nutrition in them, they can’t be all bad. I still need to exercise portion control, but when I’m making them myself, I can not only decide what goes in them, but I can also choose the quality of the ingredients. After some hemming and hawing, a lot of chocolate smeared all over every surface of my kitchen and with some help from my friends at Vital Proteins (and many many testers that didn’t set and we had to pour over ice cream! 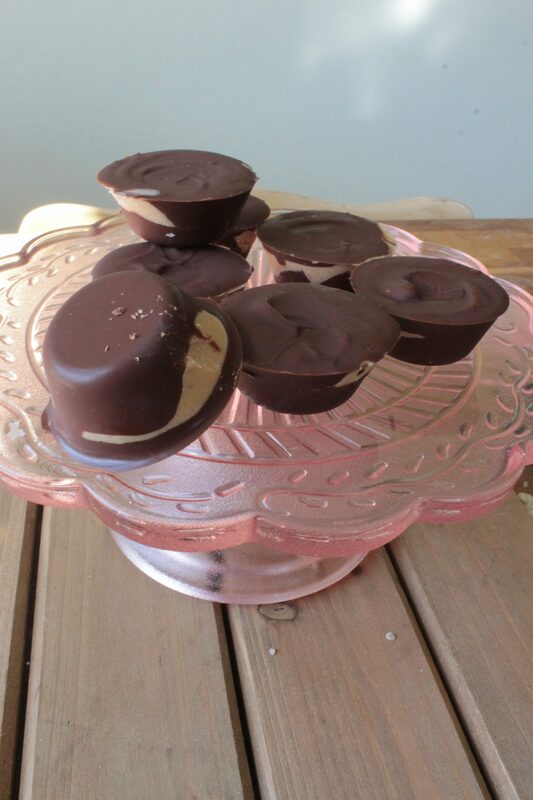 ), we came up with these Cashew Butter Collagen Cups. They have cashew butter (good fats! ), coconut oil (more good fats! ), honey and collagen peptides. So they’re better for you than most candy-ish substances! Plus, chocolate. Cannot go wrong. A nutrition-packed treat for those days where you're craving a little chocolate! 1 package chocolate chips I used organic, free trade chocolate, but in a pinch any type will do. 1/2 cup cashew butter can also use almond butter! Start water boiling in pot on stove and once boiling, lower heat to a simmer. Set heatproof bowl of chocolate chips over simmering water, but don't let the bottom of the bowl touch the water. While keeping an eye on the chocolate, mix the cashew butter with the peptides if using. Add coconut oil and honey, stir well. 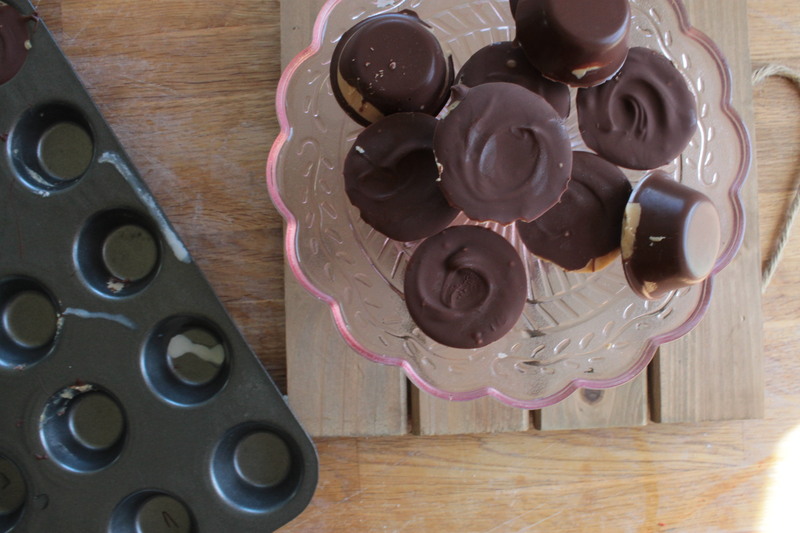 Once chocolate is fully melted and lump-free, grab your mini muffin tin. Drop about a teaspoon into each well and smoosh it up the sides. You don't want TOO much chocolate in there or they get hard to bite! Work fast so the chocolate doesn't harden! When you've covered the bottom of about 12, add a teaspoon of the cashew butter mixture right into the middle of the chocolate. Don't press it down, that displaces the chocolate on the bottom. 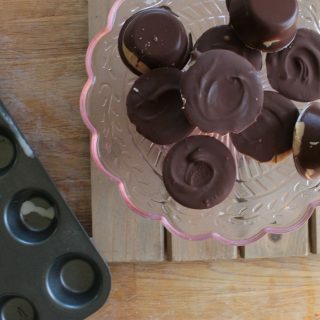 Cover each cashew butter well with chocolate, and swirl the top if you want to be fancy. Use any remaining chocolate and cashew butter to fill other wells (or you could eat it. I don't judge). Stick your mini muffin tray in the freezer, make sure it's level! Freeze for 2 hours. Unmold by running a sharp knife around the edge of each well. Eat one, then store in the fridge where nobody will accidentally happen to find them, and where they can stay cool. I was provided with product from my friends over at Vital Proteins in exchange for this post. All opinions are mine.